2+picc.2+eh.2+bc.2+cbsn / 4.3.3(3.btb).0 / Timp. / 2 Perc. / Hp. / Str. Recording unavailable; check back soon! Overture to Knoxville was commissioned by Aram Demirjian and the Knoxville Symphony Orchestra for the opening concert of their 2017–18 concert season. 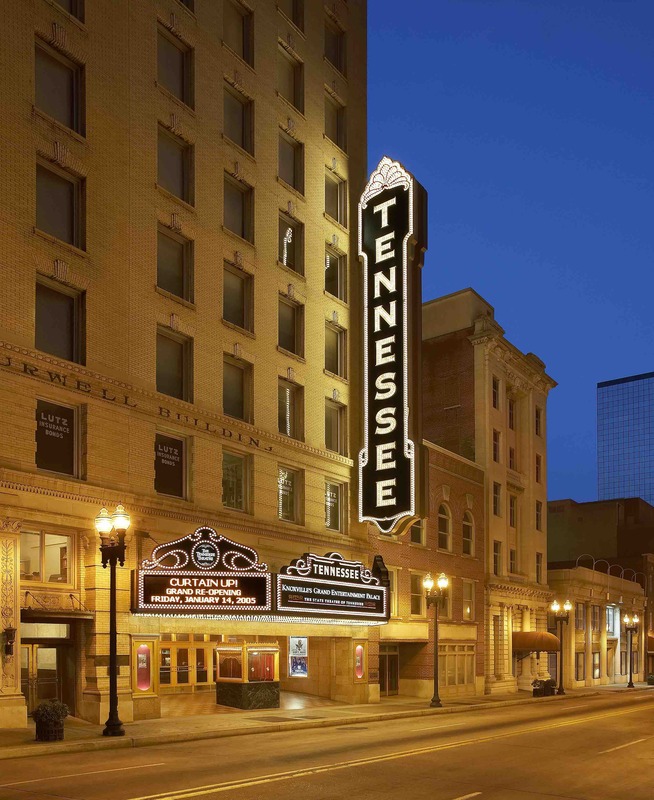 It was premiered on September 21–22, 2017 in Knoxville’s historic Tenneessee Theatre. When Aram, an old friend, asked me to write an overture to kick off the Knoxville Symphony’s 2017–18 season, I couldn’t help but smile as I considered how much we have grown (musically and generally) since the first time he conducted a work of mine, when he stepped in at the last minute on a student opera I wrote as a sophomore in college. Nostalgic reflection soon gave way to more general meditations on “old and new.” For every individual and for society collectively, old and new intermingle in complex, often surprising ways. Their interaction is the essence of every artistic experience. Not infrequently, I’ll come up with a musical idea, only to discover that it wasn’t entirely new at all, but a distorted echo of some partially-remembered past: a folk song my grandfather hummed while strolling on the beach in Florida, or a fleeting moment from something I sang with good friends, or even an extramusical memory that I know no other way to express. Knoxville: An Overture grew as an exploration and celebration of oldness and newness — a juxtaposition that in many ways is the essence of Knoxville, whose vivid history, dynamic present and burgeoning future are readily apparent simply by walking through Market Square. You will hear the wild abandon of youth, the augurs of Aram’s brilliant tenure as Knoxville’s music director, the galvanizing energy of progress, and at the same time you will hear fragments of old folk songs from my youth, some allusions to the great works of the orchestral canon, and even some East Tennessee flavor. Much like old and new commingle in our experience of the world, the main themes dance in and around one another, cross-pollinating in ever-evolving ways as the musical ideas flower and bloom.